The Automated Technology Group has considerable experience in the successful implementation of motor control centres in a wide range of industries. 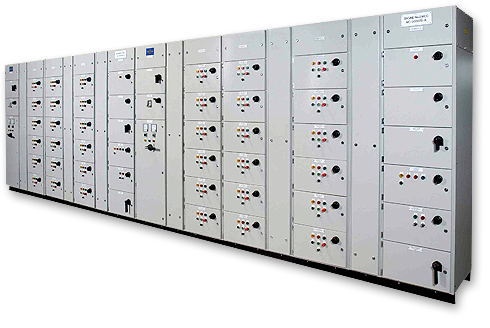 Our versatile Power 2000/6000 systems accommodate fixed or withdrawable motor control centres (MCCs) that are designed to meet demanding applications, with busbars rated for the load and braced to withstand the fault level of the system. Our integrated MCC solutions feature all types of fixed and variable speed starters, with both Form 2 and Form 4 construction offered to suit your needs.